Hero MotoCorp is the world’s largest two-wheeler manufacturer. However, when it comes to the scooter segment, Hero is still way behind the segment leader – Honda MotorCorp. 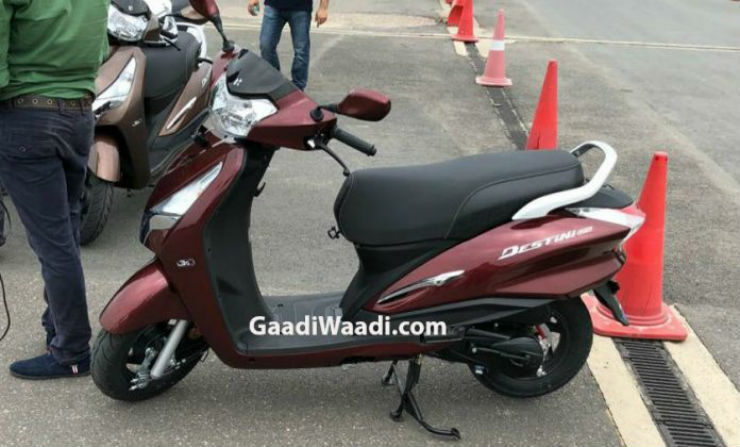 Hero is now planning to shake things up a bit by launching a new scooter named Destini 125. The Destini will be the new name given to the Duet 125. It will be an all-new scooter that will get a lot of new technology features. 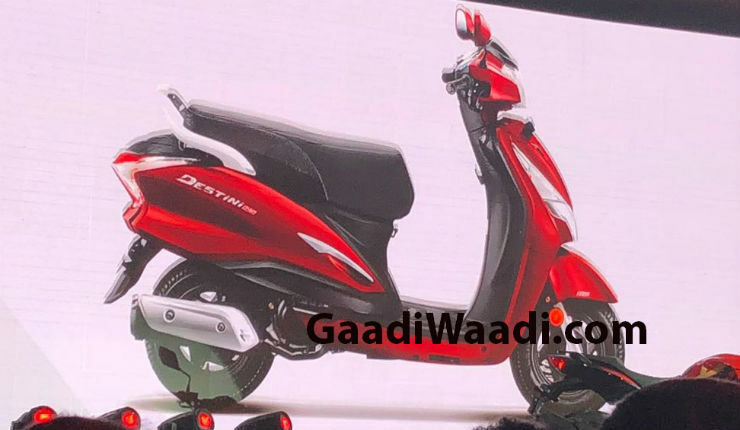 The premium scooter will take on bikes, such as the Honda Activa 125 and Suzuki Access 125. The Access 125 is leading the segment at present. Recently, manufacturers like TVS, Aprilia and Suzuki have launched products like NTorq, SR125 and the Burgman Street in the segment. The products in this segment have generated a lot of interest in youngsters. 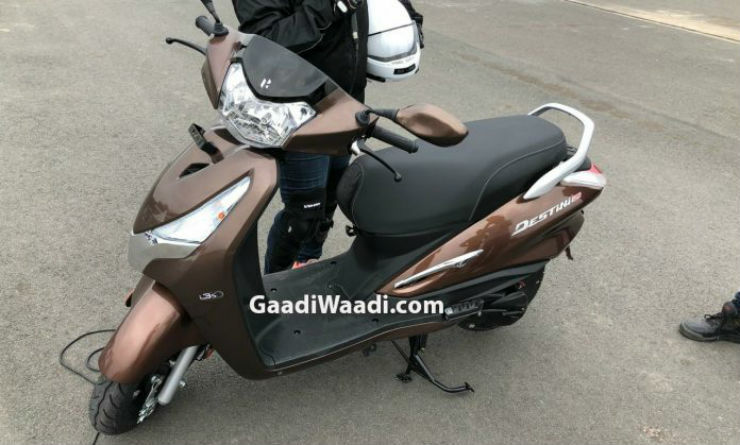 The new scooter, Destini 125, has been developed at Hero’s Centre of Innovation and Technology in Jaipur. The scooter comes with an engine that delivers a strong low-end torque, which makes it unique and convenient to ride in traffic. It will draw power from a 124.6-cc, single-cylinder, air-cooled engine that churns out a maximum power of 8.7 Bhp at 6,750 rpm and a peak torque of 10.2 Nm at 5,000 rpm. This is the first time in India that a scooter will feature the unique i3S technology that is offered with a lot of Hero MotorCorp bikes. The technology increases the mileage considerably. It is an automatic start-stop feature that switches off the engine when the scooter is idling at a traffic signal and automatically restarts it without any delay when the brake lever is pressed. The power goes to the rear wheel through a Variomatic Drive CVT. The scooter comes with features that include telescopic front forks and hydraulic shock absorbers at the rear. The braking department is handled by a 130-mm disc at the front and there is a similarly sized disc brake at the rear too. It is likely that the scooter will get the Combi-Braking System, which Hero calls Integrated Braking System (IBS). Combi-braking has been standard on the Honda Activa range for many years now. The Honda Activa is currently the largest selling scooter in India followed by the TVS Jupiter. The competition in the 125-cc segment is lower when compared to the 110-cc segment. With the i3S system, Hero may just capture a good market share in the segment.